At Edgeborough we are pleased to have our own in-house Head Chef who is supported by a Sous Chef as well as a Pastry Chef and kitchen team. Our Catering Team and in-house Chefs at Edgeborough provide nutritional and well-balanced meals throughout the day, whether that is breakfast, lunch or supper. The meals are cooked on the premises using high quality produce and our aim is to cook as healthily as we can, not a fryer in sight! Our menus are planned on a three-week cycle and special diets are catered for. Catering at Edgeborough is a sunrise to sunset operation, starting with Boarders and Breakfast club pupils at 07:50am to 08:15am who enjoy a hot breakfast each morning, with additional cereal, toast, fruit juice, fruit platters, and porridge on offer. 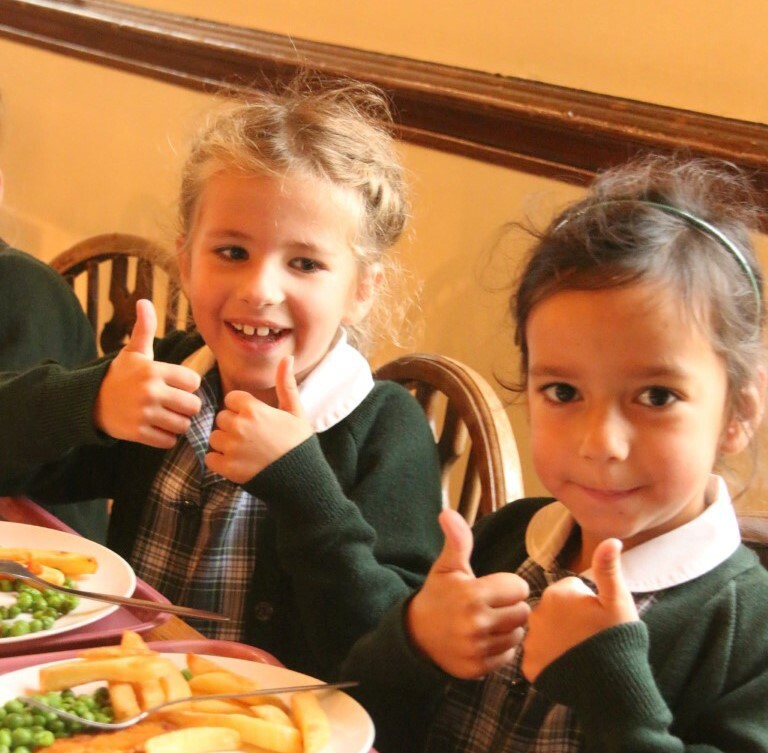 At lunch time pupils and staff have the choice from two hot main meals available and a full salad bar, home-made soup with crusty bread, meat platters and fish platters, natural yoghurt, fresh fruit and a hot dessert. 6pm is supper time and is run very similar to lunch time. During break times children are offered a drink, fruit and a snack. We hold ‘Dining In Days’, once a month and this is where parents, guardians and Grandparents can come in and have lunch with their children. It proves very popular so an early booking is always recommended. We never like missing out on a themed day either, so whenever we can we create a special lunch to celebrate; Independence Day is very popular with the children as well as Chinese New Year. Our catering team are friendly and helpful and make up a very strong workforce at Edgeborough, where nothing is ever too much trouble. All of our food is cooked on site to Chef’s recipes. We have three week menu plans which are then rotated. Each term the menus are changed to take into account seasonality of local produce. The menu for the 2019 Easter Term can be found below.